Cannabissearch.com Buzz Rating: This strain can initially trick smokers into thinking it's not all that potent, however the effect creeps up on users, becoming sometimes overwhelming after around 20 minutes. The effect is very psychedelic and cerebrally stimulating, often evoking strange but pleasant thoughts. Big Dogs created Lady Durban by taking their time in selecting a prime Silver Rocket F3 female to become pollinated by an equally carefully selected Durganchitral landrace male. The result produced an amazingly stable strain with strong vigor and genetics. These buds are fairly large, with high amounts of trichomes and colors of red and blue in them. The flavors are of lemon, hash and mint, making for quite a tasty combination. Users are encouraged to enjoy Lady Durban through a vaporizer for optimal flavors. Mostly due to the African landrace genetics, Lady Durban will grow quite tall. 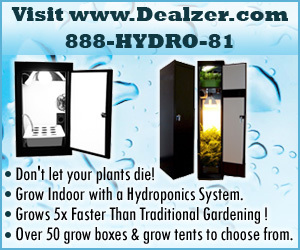 With that in mind, indoor growers are encourage to limit the time in vegetation to two or three weeks. Once flowering, they will be ready right around ten weeks later, producing a moderate yield of highly potent bud. Greenhouse cultivation has shown to work incredibly well and the plants really seem to take off with incredible vigor, due to increased humidity. Growers can feed heavy amounts of nutrients, while ensuring the ladies receive a prolonged flush. Lady Durban 0 out of 5 based on 0 ratings. 0 user reviews.